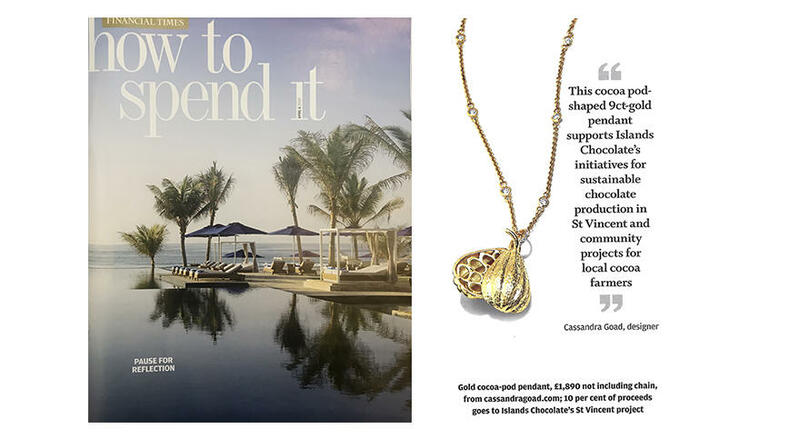 We were so thrilled to see our Cocoa Pod Pendant featured in this weeks FT How To Spend It. 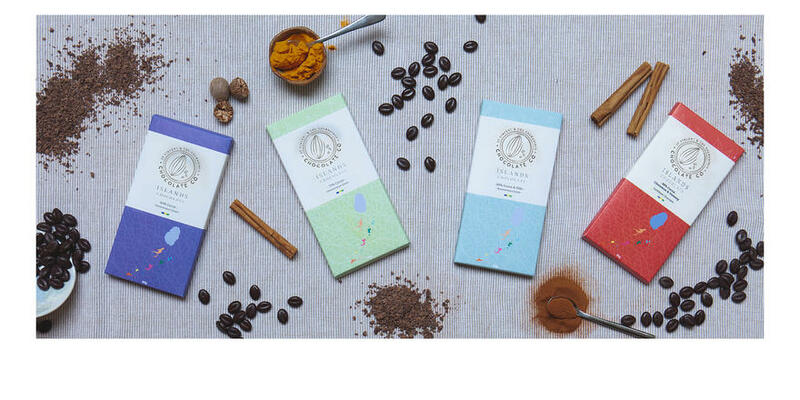 Cassandra has collaborated with Islands Chocolate to bring together the joys of chocolate and jewellery whilst also supporting their initiatives for sustainable chocolate production in St Vincent, and community projects for local farmers. To mark the collaboration, a percentage of sales of the medium 'no beans' pods will be donated to the St Vincent Cocoa Company's plantation workers, aiding education and well being, and each Cocoa Pod pendant will also come with the gift of a bar of Islands Chocolate for you to try!